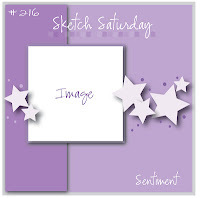 I'm really flattered to have been invited to be a Guest Designer at Sketch 'n Dies. I've played in their challenges pretty regularly for a while now and it's an honor to be asked to Guest Design. The sponsor this week is Scrappiness Designs and they have some of the prettiest papers and kits I've ever seen. I used papers from their "My Fairy Tale" set. The sentiment I used was a freebie I found and I've had it in my collection for so long that I don't know who made it. If someone recognizes it, please leave me a comment and tell me. I'd love to give proper credit. I matted the sentiment with dp and dark brown CS. 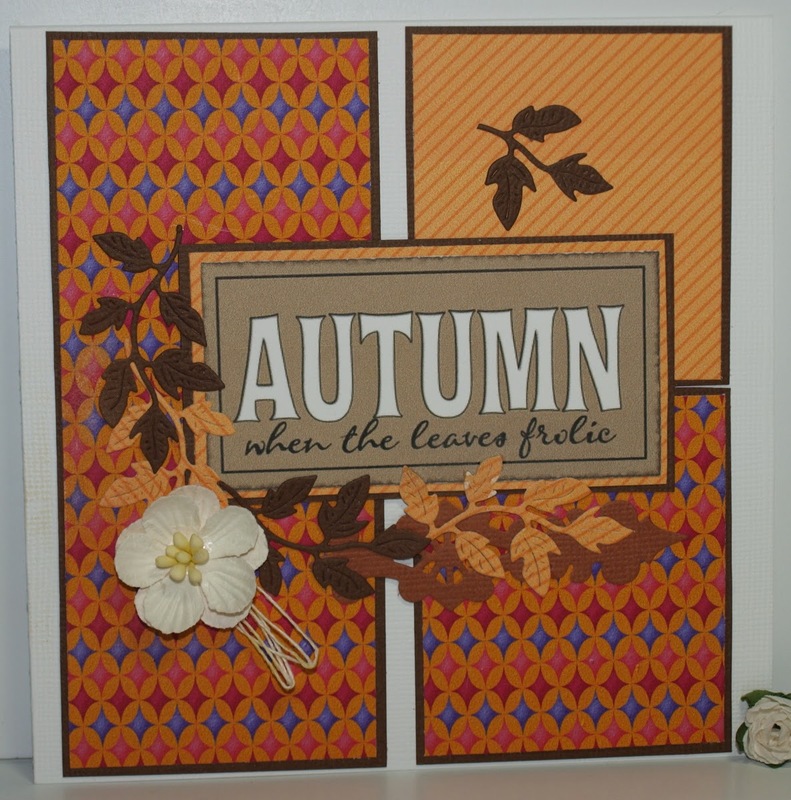 All the leaves are die cut with a Cheery Lynn die, either from brown CS or the yellow striped dp. The flower layers are punched and embossed with a stylus, then stacked together. I punched a tiny hole through all the layers so I could add the stamen. 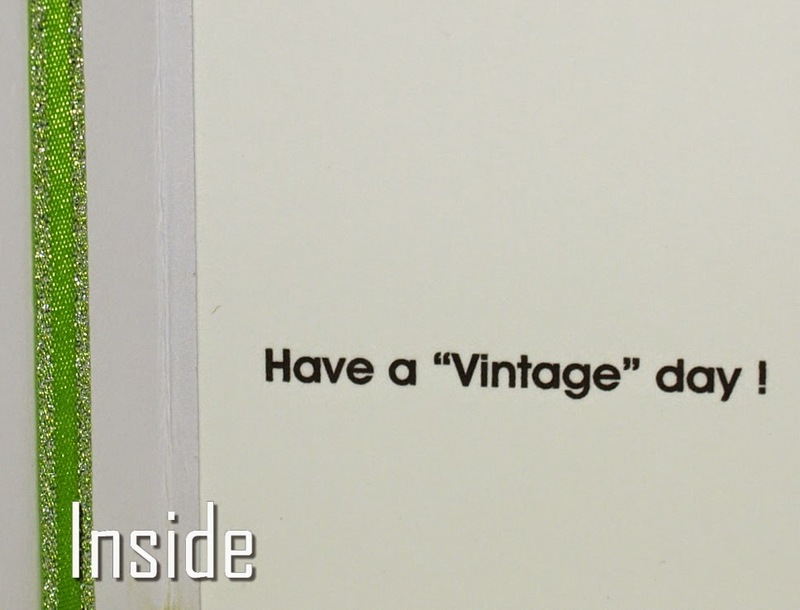 There is one additional decorative die cut (Spellbinders) -- the light brown buried underneath the leaves. The yellow leaves were somewhat lost against the dp background and that brown die cut helped to distinguish them from the background. This one uses a fabulous, fun image from QKR Stampede. 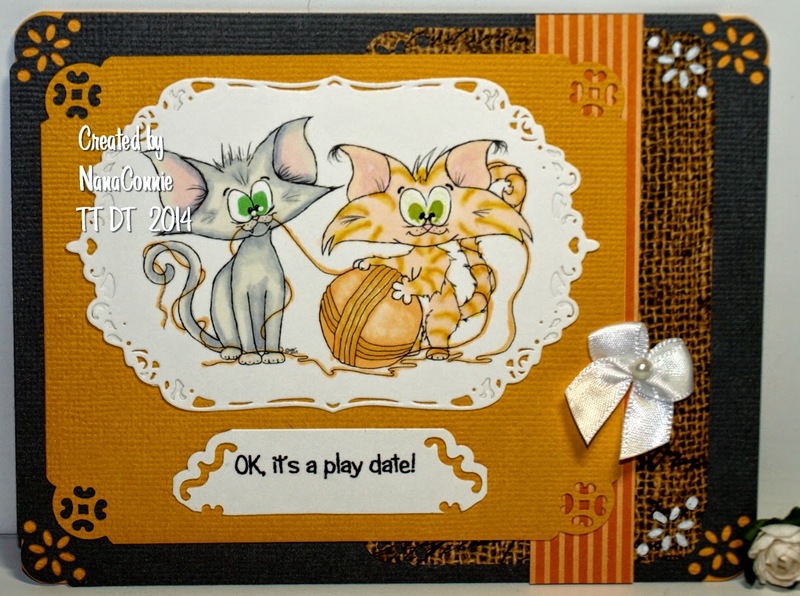 They have a 2 week long blog hop and their challenge is an Anything Goes but you have to use either a QKR Stampede image or a Eureka Stamps image this time. 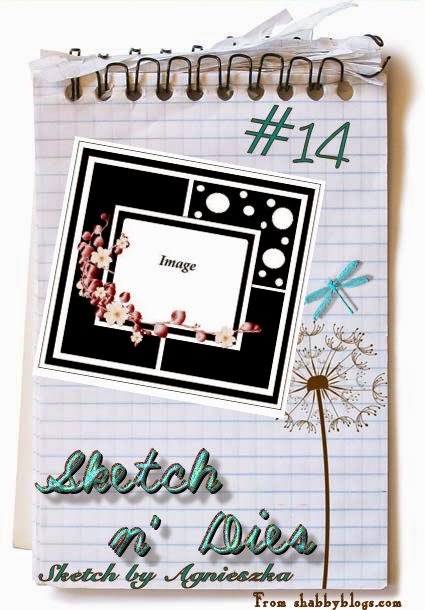 I used Sketch #216 from Sketch Saturday. My stitched ribbon substitutes for the stars in the sketch. The background dp is embossed and glittered, and both dp are from DCWV, but they've been in my stash longer than I care to admit. The ribbon came from Joann.com. Sentiment was printed with a computer font and matted with brown CS. The bow is one of the ones I make by hand. The sentiment pretty much says it all on this one! :-D Image is from Rick St. Dennis and it seriously looks like I posed as the model for it. And, since I know so much about this (having posed for it), I can tell you that the three fur babies are known as Bullet, Bluebell, and Buttercup. They dearly love playing with Bows and they think the fashionista's Bathrobe simply must be covered with loose cat hair at all times. How's that for a bushel of "B"s? 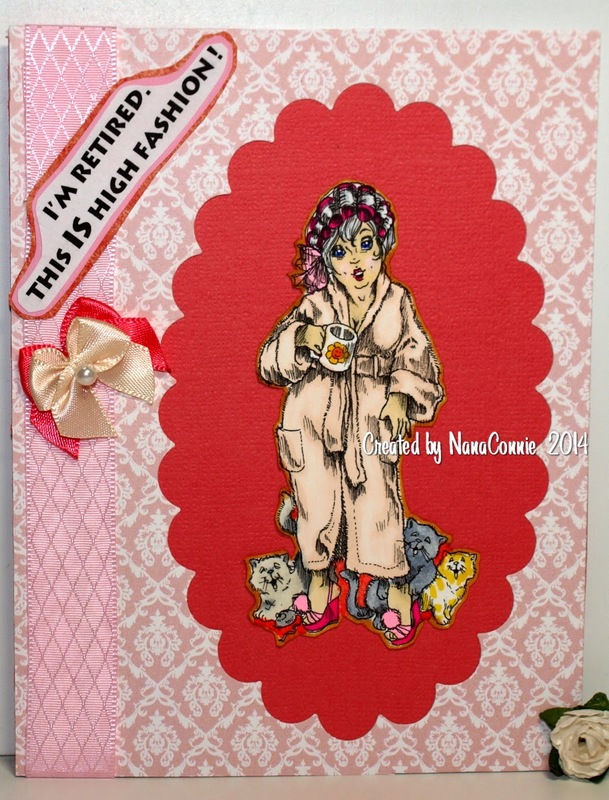 Image is colored with ProMarkers and Triads and then fussy cut and adhered to coral pink CS. I die cut a piece of embossed dp from my stash with a scalloped oval die, and used the negative as a frame for the image. Ribbon is from Really Reasonable Ribbon and the bows were hand made by me. 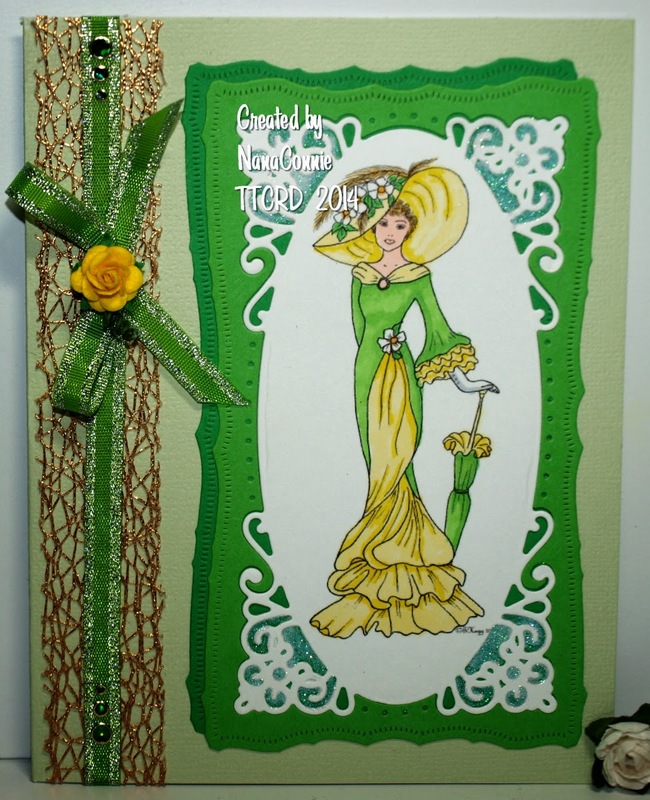 I have a dear friend who loves it when I use green & yellow as a combo for my cards and she is always telling me that she's not old, she's simply "aged like a vintage wine." So, here's the card I made for her birthday a week ago. 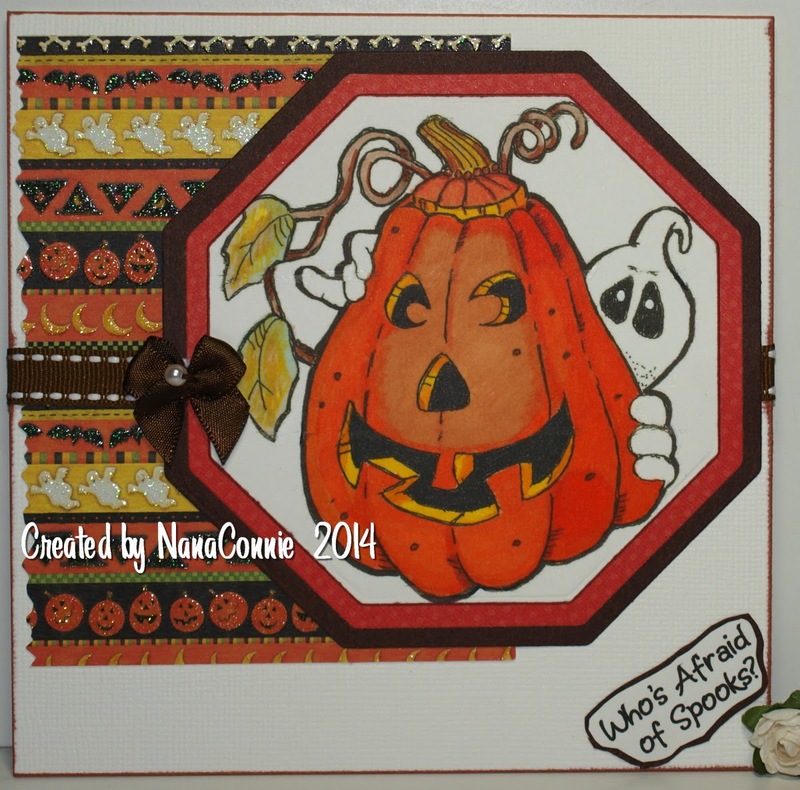 I created it as my DT card for Through the Craft Room Door this week and our new challenge has the usual "Anything Goes" theme. Our marvelous sponsor this week is Oozak. The image is from Sandi Huggett (Sandi's Samples), called "Lady Kathleen" and I colored her with a combination of ProMarkers, Spectrum Noir, and Touch Twin markers. The sparkle in the corners of the die cut is created with Cloud 9 Velvet Glitter from Sparkle n Sprinkle. For a full materials list, please visit the TTCRD blog post this week.